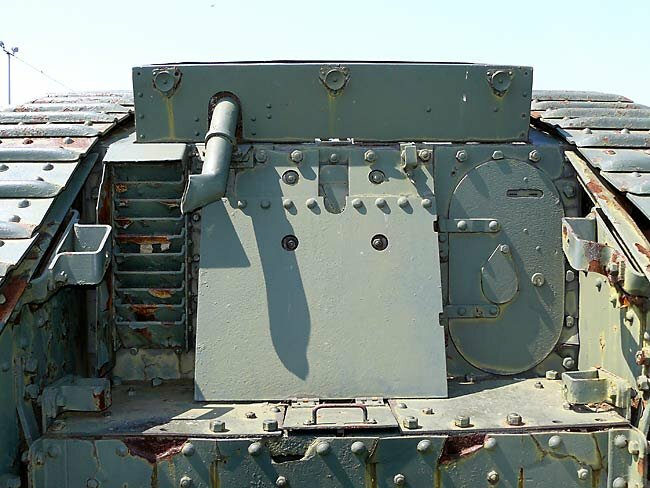 This Mark IV Female tank has the serial number of 4633. 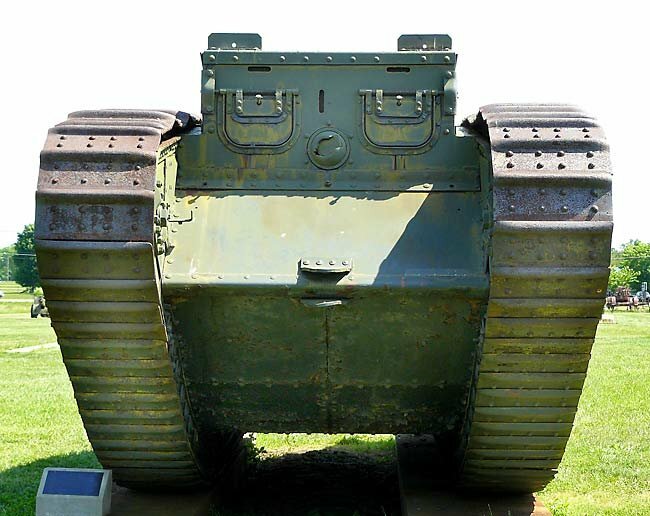 It served with the British Royal Tank Regiment but its British Army operational record is not known. 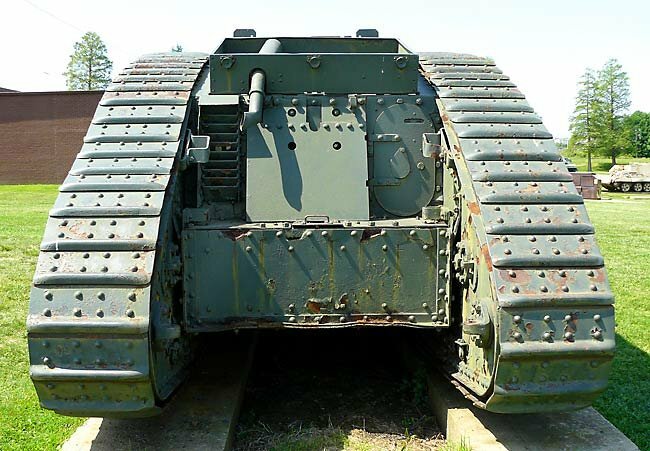 It may have been used as a training tank at Bovington. Tank crews of the US 301st Heavy Tank Battalion were trained on Mark IV tanks at Bovington before being sent to France. 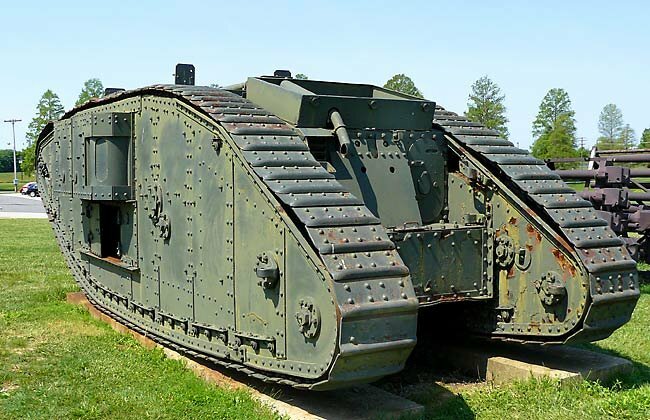 It was shipped to America on 5th November 1918 with nine other Mark IV tanks (serial numbers 4616, 4624, 4629, 4630, 4634, 4636, 4639, 4642, 4646) to be used as training tanks for the new US Tank Corps. Some of these tanks were used to raise money in the US Liberty War Bonds fund raising drive. 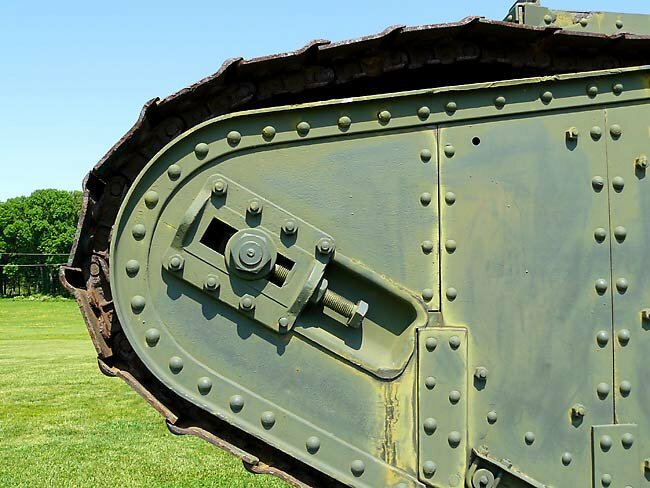 The tank crews would show off how powerful these metal beasts were by running over cars and knocking down old buildings. Some received a change of name. They were painted with the name 'Liberty' on the side. 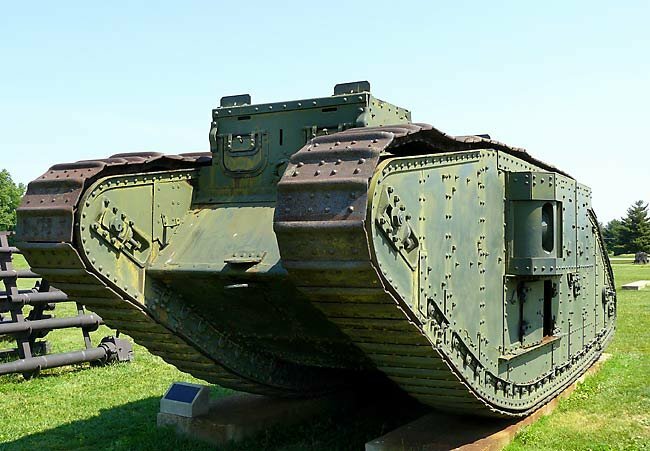 The Mark IV tanks were still being used as training tanks in 1919 but were gradually being replaced by the more up to date Mark V tanks as they arrived from Europe and the American built Mark VIII tanks. 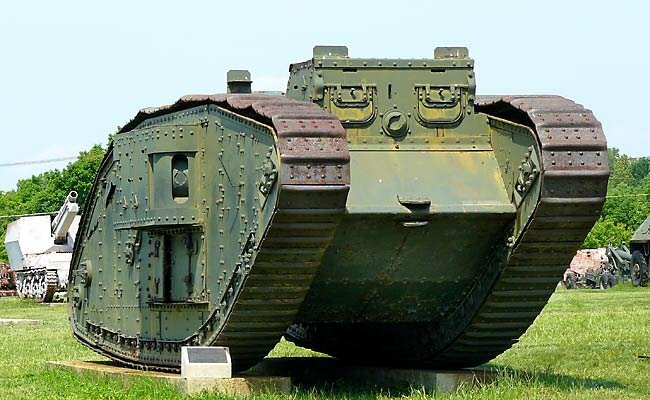 The new tanks only required one man to drive them where as the older Mark IV tanks required four people to steer and change gears. Information in the Aberdeen Ordnance Proving Ground Museum document 'jacket' on this tank suggested that it was originally named 'Britannia' and that it took part in the Battle of Arras where it penetrated the German trench lines, destroyed four machine gun positions, helped take 395 prisoners and repulse two German counter-attacks. Unfortunately this is not true. 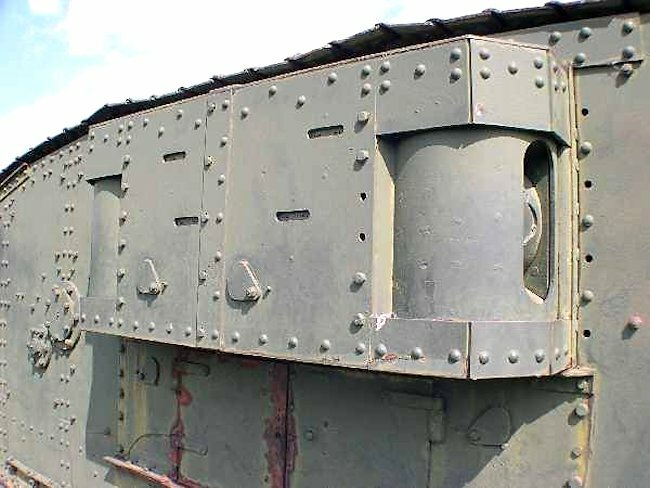 Research into the tank's serial number and studying WW1 photographs show that it was a different tank. 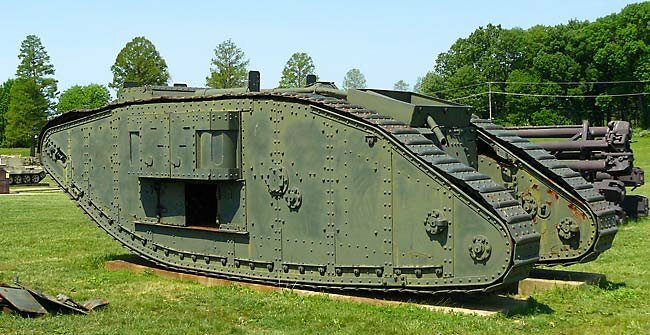 The tank joined the Aberdeen Ordnance Proving Ground Museum open air tank collection in 1919. After decades of exposure to the elements it was in a very in poor condition. 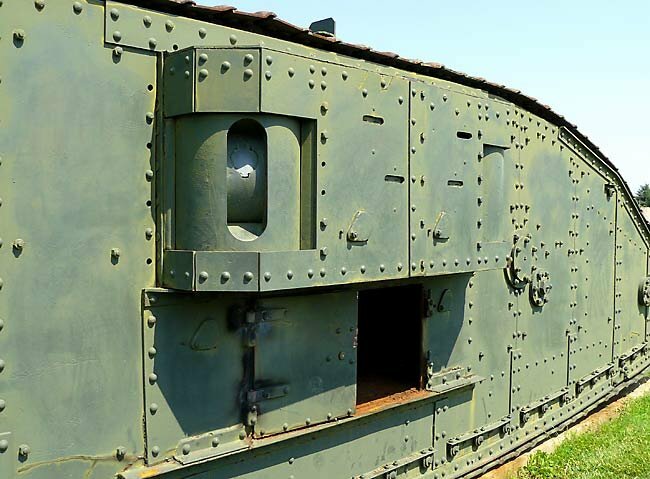 In the Autumn of 2015 it was transported to the National Armor and Cavalry Museum Workshop at Fort Benning, GA, USA to undergo restoration. It is not on public display at present.